With its sparkling beaches and picturesque landscapes, Thailand is a much sought-after marriage destination. Whether you are marrying a fellow foreigner or your Thai fiancée, Marriage Registration in Thailand is a very convenient process, and it will definitely help you make your union a most unforgettable experience. Thailand is one of the best places to get married because the country generally offers easy provisions for the marriage registration. Marriage in Thailand is considered legal and is recognized throughout the world. The drafting of prenuptial agreements can also be done quite easier here. But the best advantage of getting married in Thailand is choosing from a wide-array of world-class beach resorts and other outstanding locations, where you can choose to hold a traditional Thai wedding ceremony or a formal religious ceremony of your choice—the romantic options are endless! Marriage Registration in Thailand can be a breeze if you are well aware of the requirements and the process involved. It would be best to engage the services of a reputable Thai law firm who can help you secure all the necessary paperwork for your marriage. 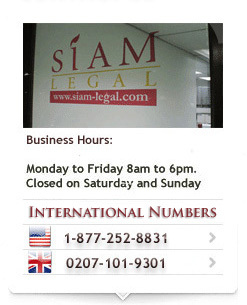 Foreigners who want to get married in Thailand must first obtain clearance from their respective embassies. Some embassies in Thailand may require you to get your Single Certificate first from your home country prior to your arrival in Thailand. They will then certify this for the marriage registration. Once you obtain this clearance, or in most cases called an Affirmation of Freedom to Marry, you can already have this document translated into Thai and legalized pursuant to Thai law. For those with Thai fiancées, your spouse-to-be has to show his/her Thai National ID card along with a copy of their House Registration. When all the documents are in place, the marriage registration can be completed at the Thai district offices, which are also known as ‘amphur’ or ‘khet’. 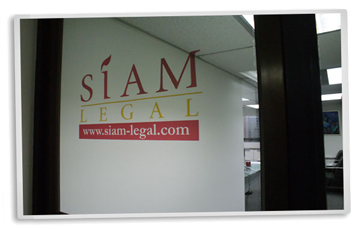 Retaining the services of an efficient Thai law firm can help you expedite the marriage registration process, most especially if you are looking forward to get married as soon as possible. Hiring a law firm is more convenient as the process involves a lot of legwork and can be time-consuming. Moreover, if you are looking to secure your assets prior to your Marriage in Thailand by drafting a Prenuptial Agreement, or interested in applying for a Foreign Visa for your Thai fiancée or spouse, engaging the services of a reputable law firm in Thailand may be your next best decision, after finding the love of your life of course! Getting married in Thailand is bound to be one unforgettable experience. Marriage in Thailand, once legalized, is recognized around the world. Foreigners who want to register their marriage must first obtain an Affirmation of Freedom to marry from their embassies located in Thailand. Some embassies may require you to obtain a Single Certificate from your home country prior to your arrival, so it will be best to verify with them. It would be best to engage the services of a reputable law firm in Thailand to assist you with your marriage registration. Not only will they help you elude the hassles of paperwork, they can also give you quality advice regarding the legal matters concerning your upcoming marriage, such as the creation of a Prenuptial Agreement or securing a visa for your Thai fiancée . © 2019 Thai Wedding — All Rights Reserved.